Tmtravlr here! I had a lot of crazy lucky block ideas but felt that the spiral lucky block was getting too big, so I decided to make them into a new addon! 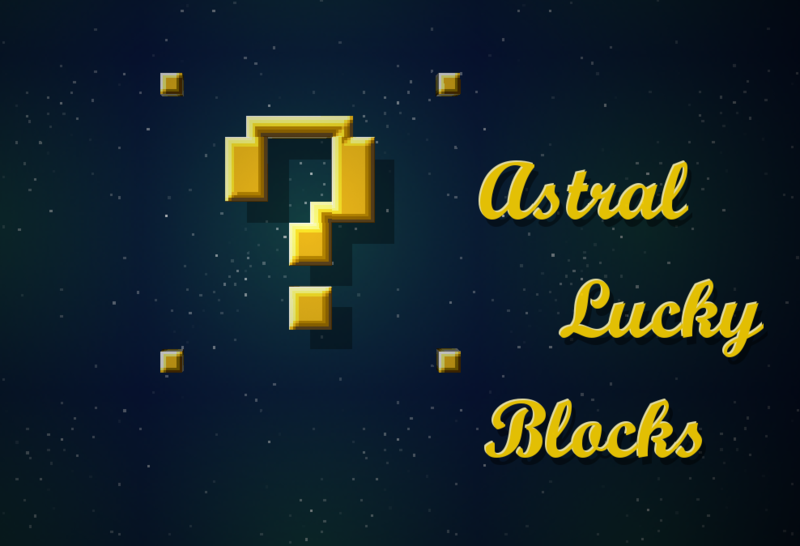 I give you the Astral Lucky Blocks. There are nearly 300 new drops (actually more than the spiral lucky blocks... =P), including epic new items, and even minigames! Of course, there are the sword, bow, and potion that is now supported in lucky blocks... let's just say they are quite epic. 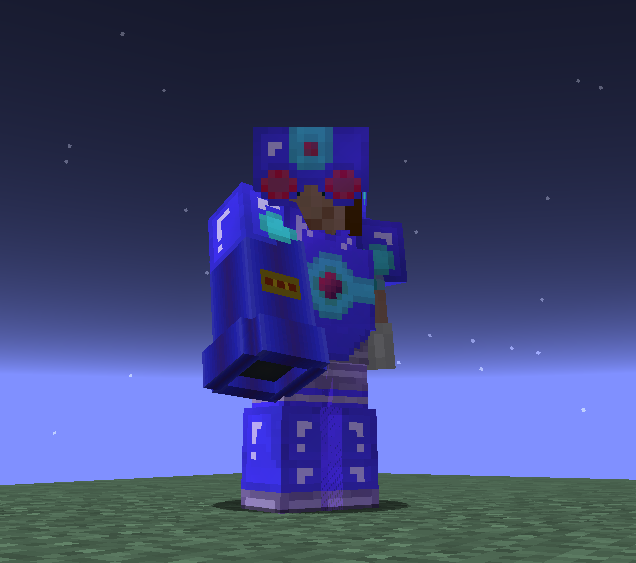 There are a few new sets of armour as well. Find a friendly fairy, who will heal you when near death! There are a lot more, but I'll let you discover them on your own! 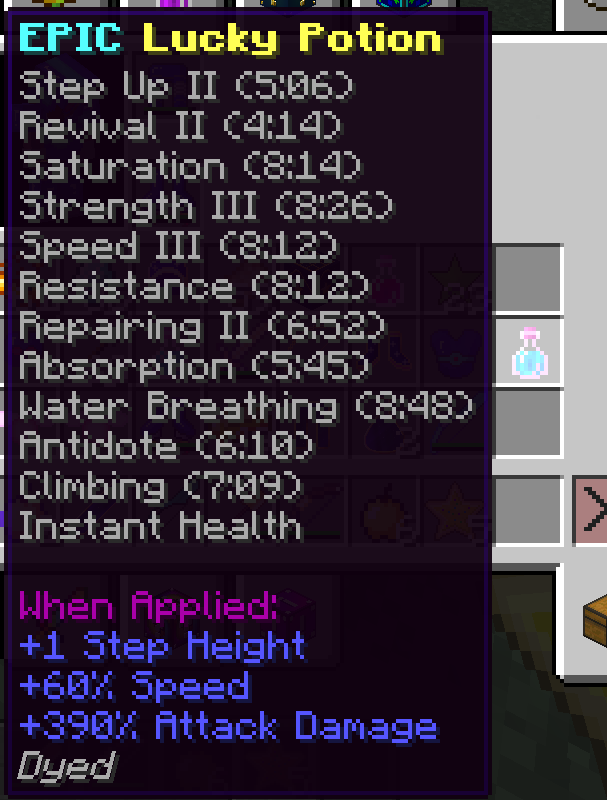 and Potion Core version 1.0.1 or higher. Run lucky blocks first, so it creates a folder called addons/lucky_block in your game folder, then drop this addon in there and you should be good to go! 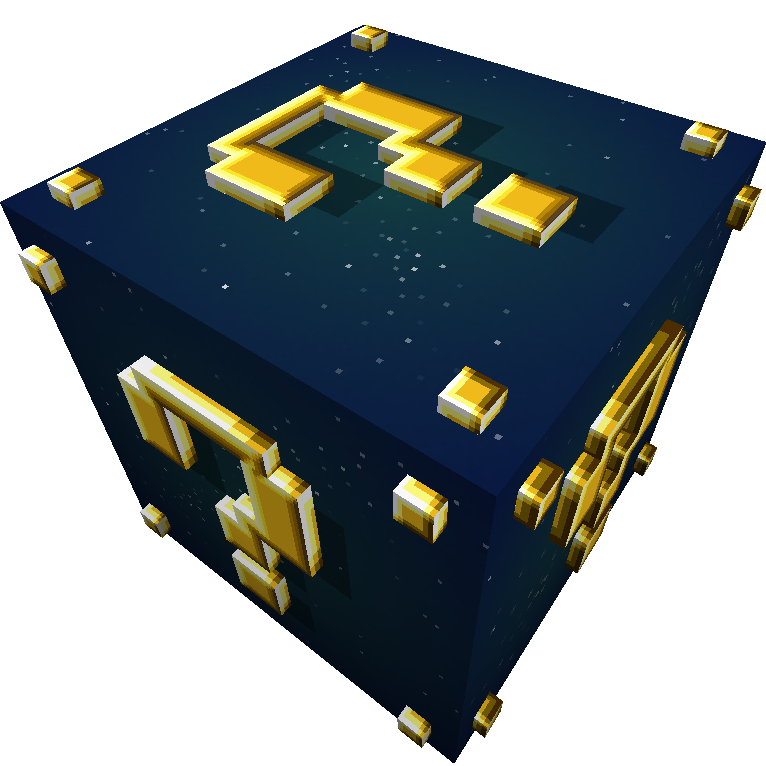 Can you please add this lucky block to 1.7.10? Hey, from the crash it looks like you have two versions of the add-on installed. Make sure you don't have an old copy in there! 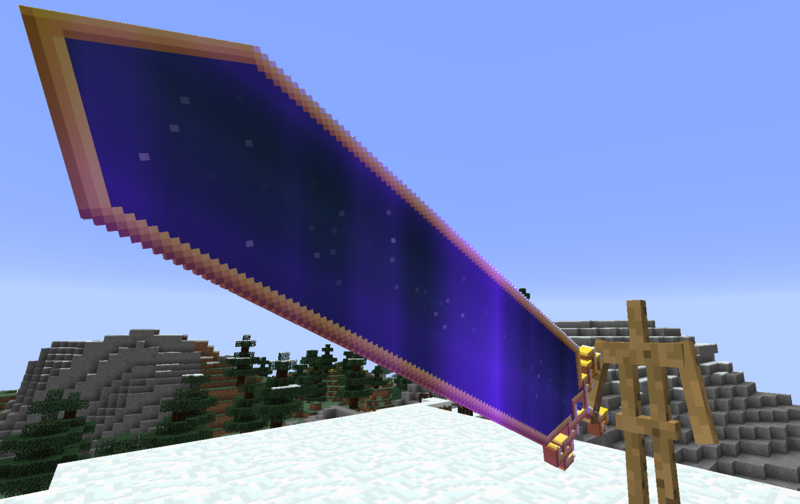 Hey sir do you know what mod has a big bertha sword in it? Will this ever be on 1.9? any time soon? 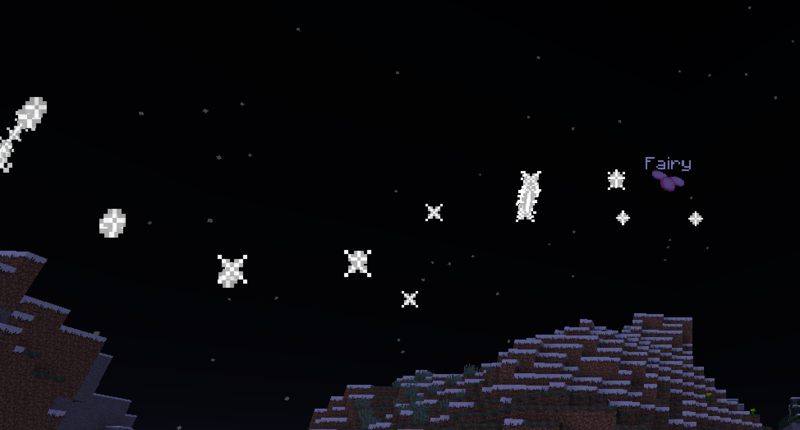 Please make it for 1.7.10! Hello! Saw this last night and just HAD to give it a try, and it's pretty interesting so far. Unfortunately, trying to place an "awesome chest" I got from one of the randomly generated astral lucky blocks crashed my client. It references Loot++, but I am not sure whether it's an issue with that mod or this one. Once I logged back into my world, the chest was properly placed and I can view its contents, it just crashed me upon actually placing it. Thanks for the crash log; It's loot++'s fault. I'll see if I can figure out the cause and fix it.